The hang gliding school that has it all! Blue Sky Flight Park is a year round facility located less than 30 minutes ENE of Richmond, Virginia. Hang gliding instruction is available for beginner through advanced pilots using a variety of launch methods. Camping is allowed on site. Hot showers are available during the season, and RV electric hookups are available. 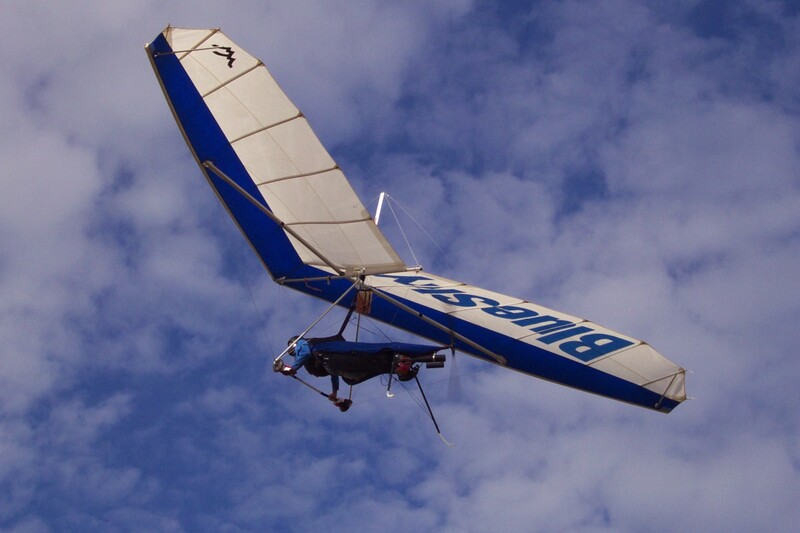 Blue Sky is owned and operated by Steve Wendt, who brings 39 years of hang gliding experience to the training program. Certified USHGA instruction is available through a variety of methods including foot launching , scooter towing, platform towing, aerotowing, and tandem instruction. Blue Sky is open all year 7 days a week. A full service repair shop can sew sails, harnesses, and restore frames to airworthy condition. 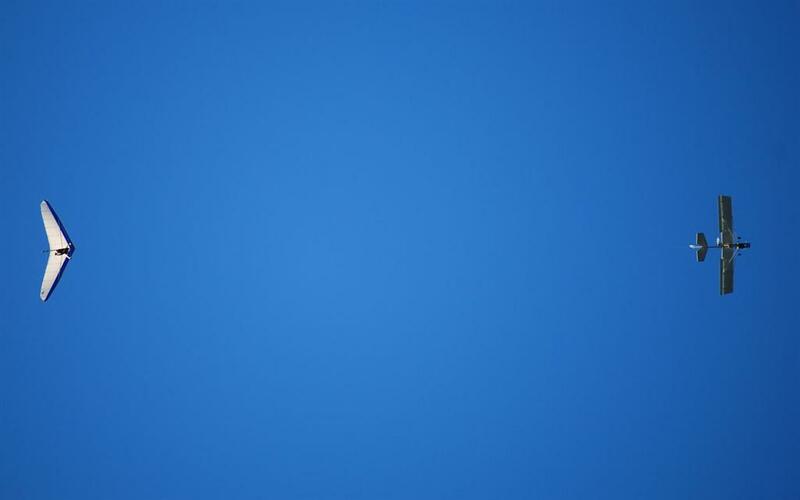 As a dealer for most major brands of gliders and equipment, Blue Sky can satisfy all your flying needs. Powered hang gliders and paragliding are welcome with advanced permission. Blue Sky can tow qualified pilots to over 2000 feet. Aerotowing is only a part time activity. Platform towing and scooter towing occur everyday that wind and weather conditions permit. Blue Sky brings you high quality personalized instruction from one of the most experienced instructors on the East Coast. Steve Wendt was recently selected as "Hang Gliding Instuctor of the Year." Click to read the article.